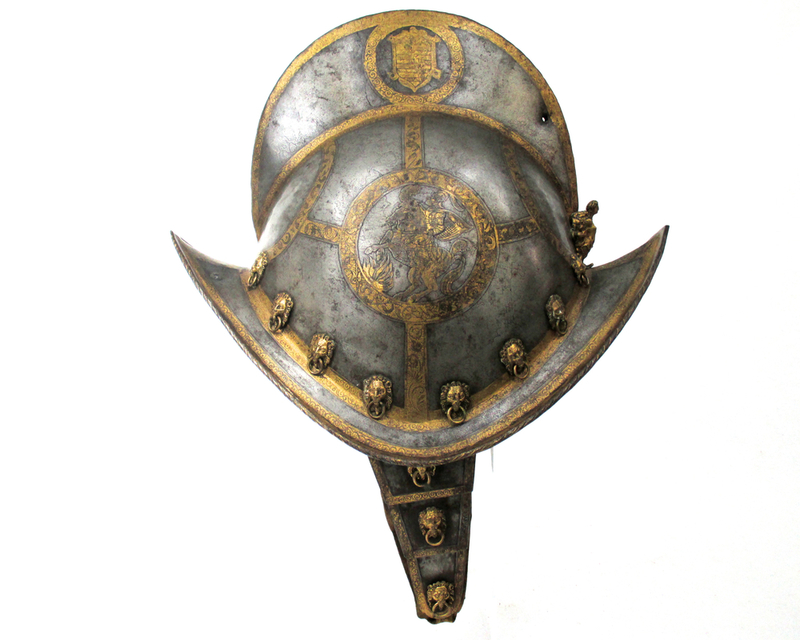 Saxon Morion, last quarter 16th c.
Of one piece construction with rounded skull rising to a tall roped comb and with roped brim, the base of the skull encircled by sixteen gilt-brass lion masks, each with a ring in its mouth, the cheek-pieces mounted en-suite. Fitted with a gilt-brass plume -holder cast in high relief as a female herm. 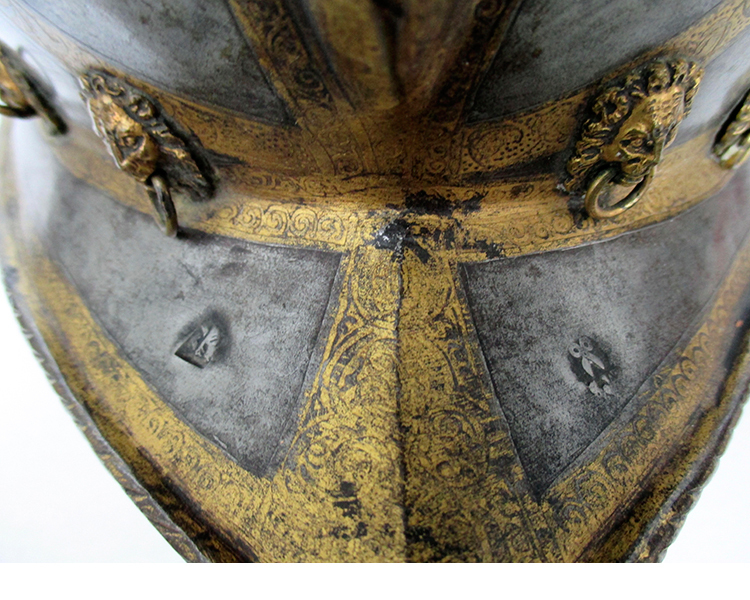 The surface decorated with gilt etching, comprising narrow bands of arabesques encircling, on each side of the skull, figures from classical Roman history, respectively of Mucius Scaevola and Marcus Curtius in self sacrifice, and on each side of the comb, respectively the Arms of Saxony and the crossed swords of the Arch-Marshalcy of the Holy Roman Empire. 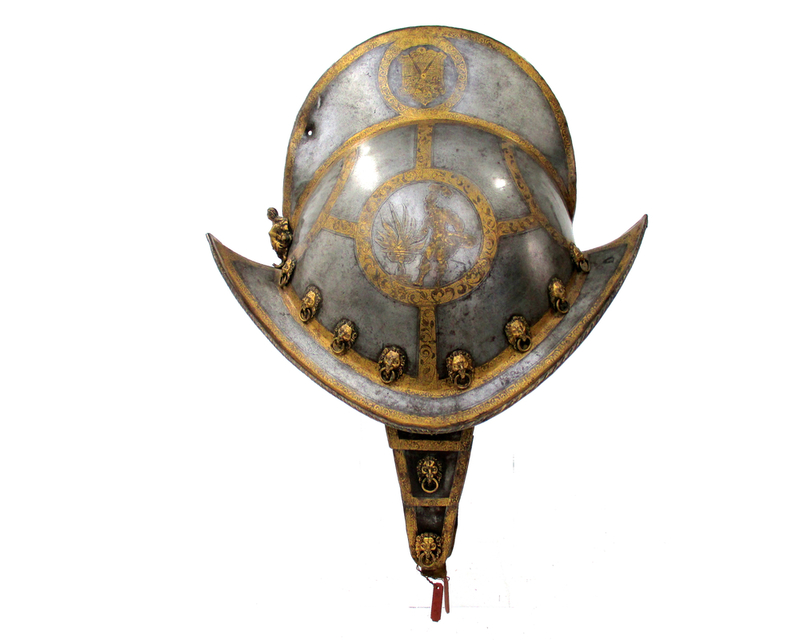 The brim struck with two marks: Nuremberg and a pair of shears for the armorer Martin Schneider. Complete with its original cheek pieces and lining. 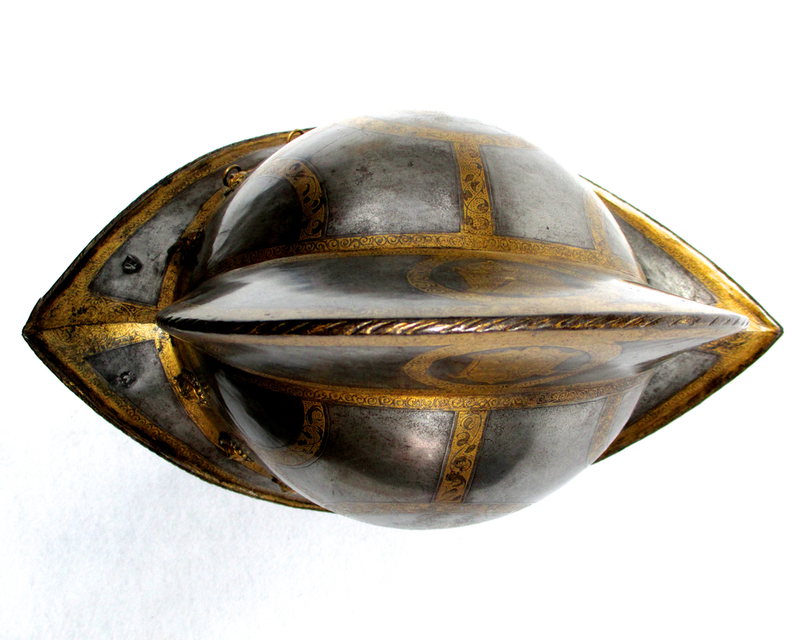 From the group of helmets made for the Trabantenleibgarde of the Prince Electors of Saxony, August I (ruled 1553-86) and Christian I (ruled 1586-91). 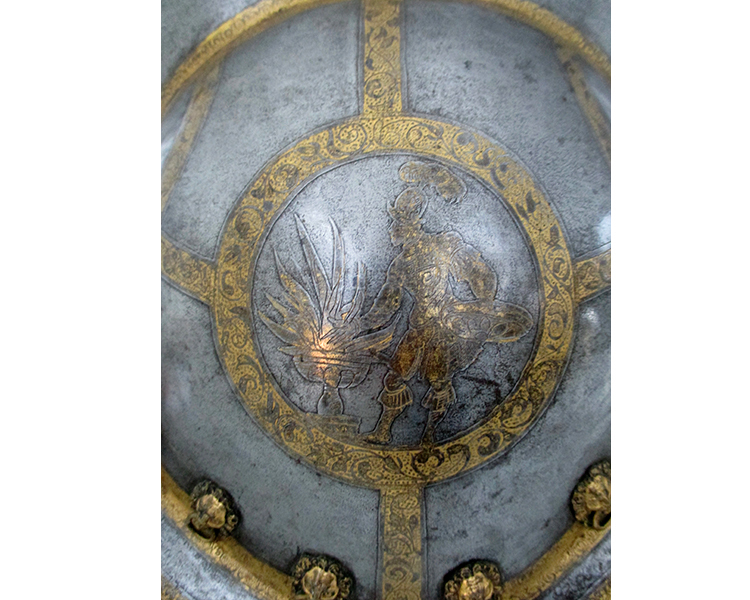 For a comparable example together with a discussion of the type see Ian Eaves, Catalogue of European Armour at the Fitzwilliam Museum (Cambridge) Woodbridge, 2002 HEN.M. 26-1933. pp. 149-50. Condition: Very fine. Examples retaining their cheek-pieces are particularly rare. Examples retaining their lining are almost unheard of.